For the benefit of those in other parts of the world, I’ll mention that today is Veterans Day here in the U.S., a day set aside to remember and honor those who have served in the military over the history of the country; though particular attention is given, as it should be, to those involved in conflicts within the memory of living persons. This past Memorial Day (a U.S. holiday in observance of those who have died in military service) I wrote a post about the PBS series They Drew Fire: Combat Artists of World War II, in which I mentioned this often neglected function of art. Art as reportage in general, and combat art in particular, gets looked down on by the art establishment as irrelevant, and often “not art”; but then the art establishment has always attempted to elevate itself at the cost of narrowing its vision. 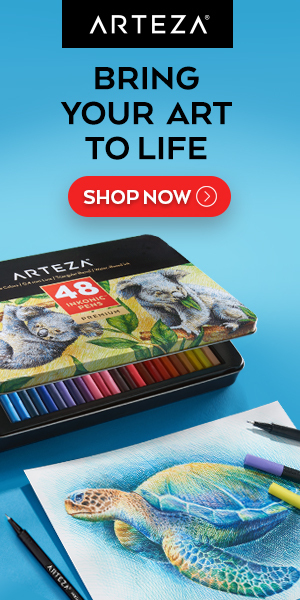 The fact is that visual arts like drawing and painting are very different from photography, and reporting a time, place or event through that process gives insight into life and human experience unlike any other. If the purpose of art is to communicate, here is that communication at its most raw and direct. Artists have been painting their visions of war for centuries, but combat artists have a unique role, that of soldier and artist, participant and reporter, subject and observer. They are able to give us the reality of war in a way that carries the undeniable weight of personal experience. Art of War: Eyewitness U.S. Combat Art From the Revolution through the Twentieth Century is a collection that puts together artwork depicting war at the level of those who experienced it, both from artists in combat and outside observers who were adapt at capturing some of the same reality. The book, by combat artist Avery Chenoweth, includes art by a few names you will recognize, John Singer Sargent and Edouard Manet among them, but is mostly of names known only to those familiar with combat art. 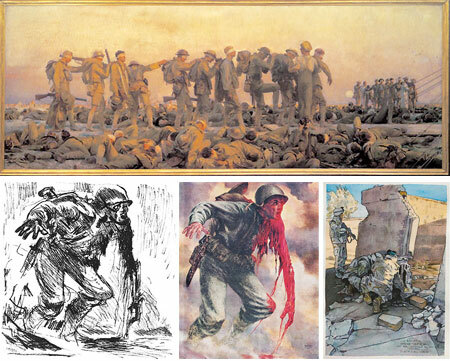 Some were artist/correspondents for magazines, who also went to the front lines, but most are actual combat artists, soldiers who did double duty as artists. This is not the “military art” of glorified war machines, sleek warplanes, dramatic fighting ships and cool tanks (though I have to admit here that the 12 year boy in the back of my brain still has a fascination with such things), nor is it an anti-war treatise; it is work by artists who tried to portray war as they saw it, directly, immediately and without filter or apology. I think it would be hard for those with direct experience of combat to glorify war, leave that to the video game companies and movie makers; combat artists need to convey their experience as honestly as possible. I haven’t read Art of War, I’m basing my comments on the book on information from those who have, as well as articles and reviews, particularly an excellent article on combat art from the Milwaukee Journal Sentinel, that includes information about Marine Staff Sargent Michael Fay, a contemporary combat artist assigned in Iraq. I think it’s important that collections like this exist. Here is a role for art that isn’t emphasized and discussed enough. Not only is it a visceral example of the power of art to communicate; but it serves as a reminder, even for those of us who are vehemently anti-war, that the sacrifices of those who have served their nation by putting on a uniform and stepping into the inferno deserve our recognition. November 11 is also Remembrance Day in Canada and Britain. I have included a link to the National War Museum in Ottawa which has an exhibition of Canadian war artists that eventually went on to become well known Canadian artists such as Lawren Harris, A.Y.Jackson, Arthur Lismer, Fred Varley and Alex Colville. I was surprised and pleased to see female artists included in the group.